We're celebrating the strength of the country at the Powercor Country Festival on Sunday May 5. ‘Country Strong’ is a special kind of strong. The kind of strong that makes you hardy, resilient, tough against hardships and the elements. Our Country Festival is all about celebrating ‘Country Strong’ and giving it up for the people in our rural and regional communities. Powercor Country Festival will see Geelong Football Club and Essendon Football Club celebrate the role regional and rural Victorians play in our community through a JLT Community Series game, and a blockbuster Round 7 clash at the MCG. Footy fans will get to enjoy a celebration of the country before bouncedown with Yarra Park to be transformed into the Powercor Country Festival. The free event features live music, field shows, kids activities and a farmers market with over 50 stalls showcasing the best food and wine from across regional Victoria. The Powercor Country Festival kicks off at 11am in Yarra Park with bouncedown at 3.20pm at the MCG. Is your kid junior mascot material? As part of the Powercor Country Festival, two lucky kids will win the coveted spot of junior mascot (one for Geelong and one for Essendon). 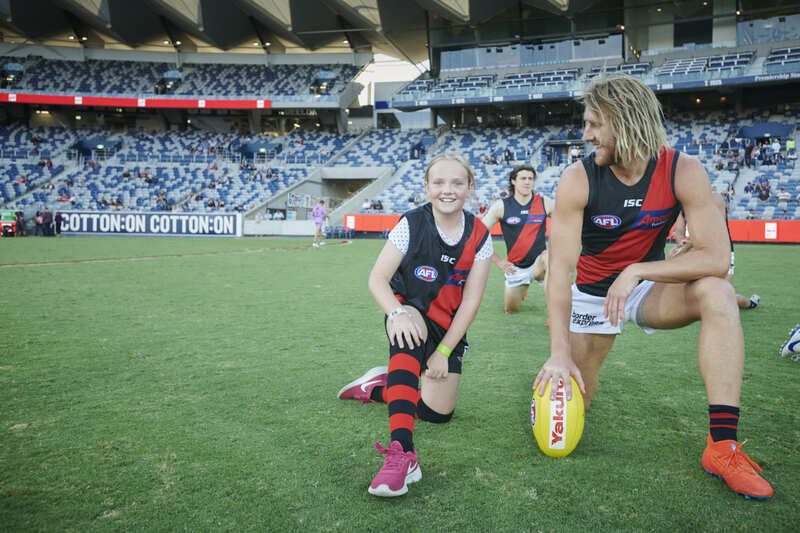 For a chance to see your son or daughter run on with the team, click on the link below and tell us in 50 words or less why Essendon or Geelong are the STRONGEST team in the competition. Please ensure you read the terms and conditions before entering.